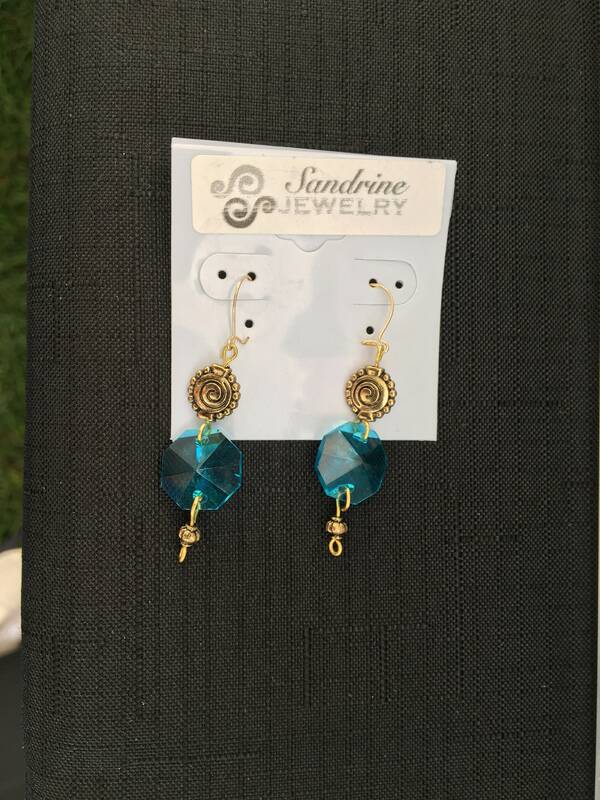 Handmade blue chandelier crystal prism gold plated earrings. Prefer it in Sterling Silver? Silver plated or filled? Gold plated or filled? Various colors of artistic wires? 14k Gold? Would like different color designs?